The mightiest nations of Europe strive for dominance on the shores of the great Atlantic. 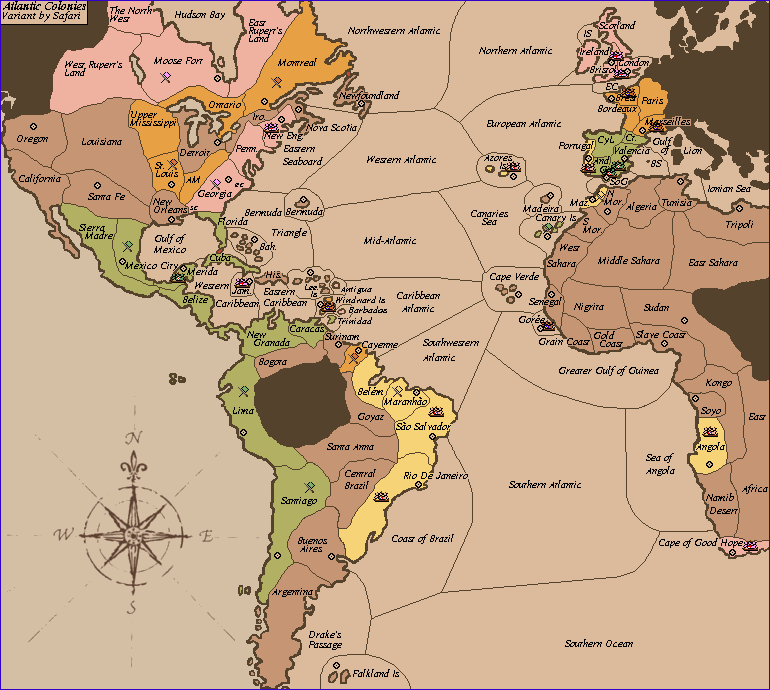 Atlantic Colonies is a variant intended to diversify vDiplomacy's currently limited roster of 4-player maps. 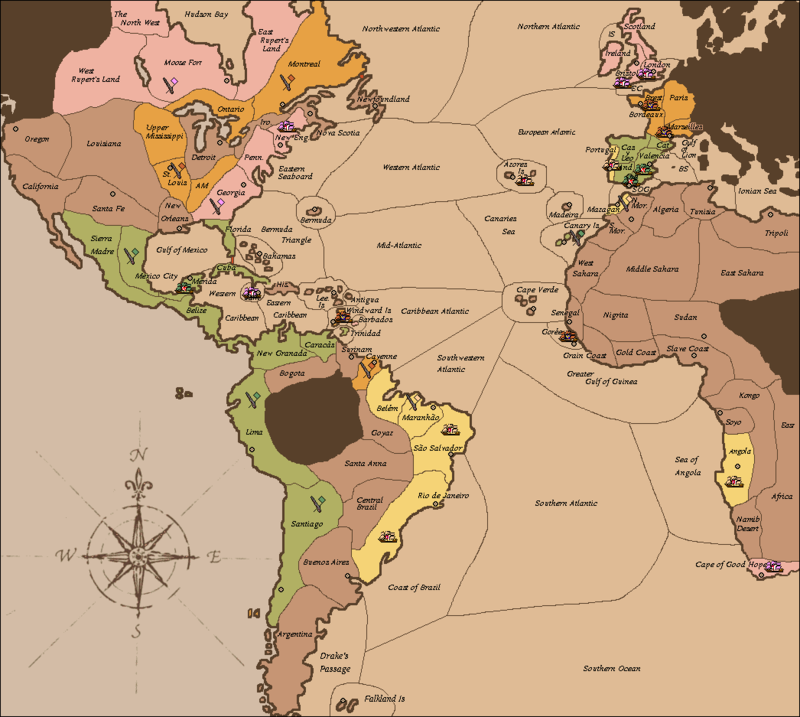 Set in the late 17th century, and focusing on the colonial exploits of England, France, Portugal, and Spain in the New World and Africa, it requires players to engage in diplomacy on multiple fronts simultaneously to achieve victory. The short stretches of water between Flordia and Cuba, as well as Montreal and Newfoundland, are traversable by armies as indicated by red connectors. Adjacent islands, such as Jamacia and Cuba, or Canary Islands and Madiera, are considered "island chains" and are traversable by armies. It is possible for a fleet to move to Hudson Bay from Northwestern Atlantic via an unshown border to the north of the map. Neutral Supply Center Note: some territories, such as New Orleans and Detroit, should technically already be part of their respective player's empire. However, to balance the map they start as neutral at the beginning of the game.